According to the people of the Mueda plateau in northern Mozambique, sorcerers remake the world by asserting the authority of their own imaginative visions of it. 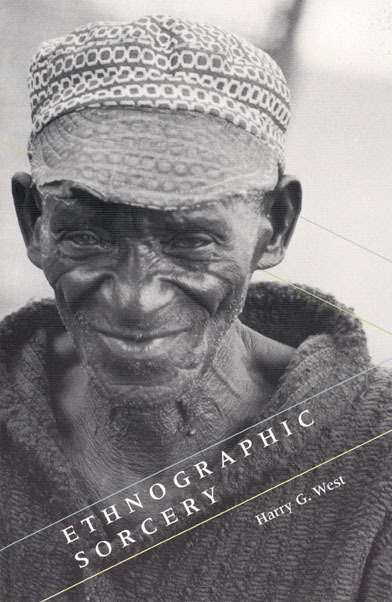 While conducting research among these Muedans, anthropologist Harry G. West made a revealing discovery—for many of them, West’s efforts to elaborate an ethnographic vision of their world was itself a form of sorcery. In Ethnographic Sorcery, West explores the fascinating issues provoked by this equation. A key theme of West’s research into sorcery is that one sorcerer’s claims can be challenged or reversed by other sorcerers. After West’s attempt to construct a metaphorical interpretation of Muedan assertions that the lions prowling their villages are fabricated by sorcerers is disputed by his Muedan research collaborators, West realized that ethnography and sorcery indeed have much in common. Rather than abandoning ethnography, West draws inspiration from this connection, arguing that anthropologists, along with the people they study, can scarcely avoid interpreting the world they inhabit, and that we are all, inescapably, ethnographic sorcerers. "This Must Be Studied Scientifically"
"The Problem May Lie There"
"Many recent and current efforts challenge ’Western’ . . . assumptions of ’transparency’ in the practices of medico-ritual healing, often glossed as ’sorcery.’ In this brief but rich ethnography that is also theoretically engaging, Harry West grapples with these challenges."